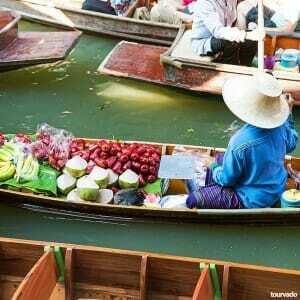 Bangkok Tours, get the best day tour, Grand Palace, Amphawa Floating Market, Damnoen Saduak, Dinner Cruise. Bangkok tours to the capital of Thailand will take you to a cosmopolitan city endowed with ethnic beauty and social vitality. Emerging with fast-paced development, Bangkok renders a unique charisma that can impress everyone’s heart, mind, and spirit. 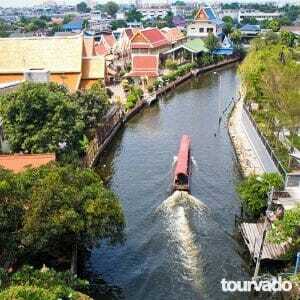 With Tourvado Bangkok tour package you will be exploring its opulent temple steeples, hulking skyscrapers and glittering shopping arcades which stand beside of tented food stalls and small street-side shops will make you realize just how overwhelming your choices are. Popularly dubbed as ‘City of Angels’, Bangkok has a number of temples, palaces and khlongs, floating markets, but what marks it out of travelers’ imagery is its thrusting modernity well-adjusted with ancient, rural traditions. Apart from that, scintillating clubs, bustled night clubs, and massage parlors drenched with red neon simply indicate that this vibrant city never sleeps. Definitely, your heartbeat will perceptibly be faster when on a Bangkok tour actualizing that this is a place you will not easily forget. 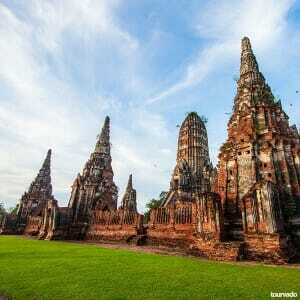 Discover the best day tours in Bangkok Thailand. Bangkok has long been fascinating tourists with its rich history & culture, superb architectures, and mesmerizing natural beauty. During your Bangkok walking tour, will notice the fragments of ancient charm within its urban chaos. You’ll take a day trip to the Grand Palace, a place of festivals, Royal coronations, peace and spirituality that describes Bangkok's, emblematic heart. 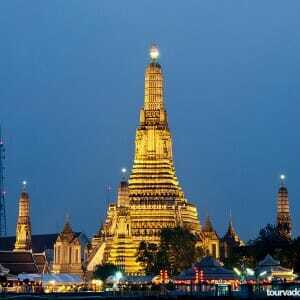 Apart from that, Wat Arun (Temple of the Dawn), Wat Pho, Wat Saket, and Wat Traimit stand symbolic for excellent architecture and superb peace and divinity. 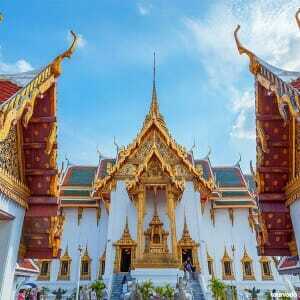 Bangkok day tour things to do include getting through the National Museum and National Gallery and exploring it Thai paintings and touring exhibitions all to discover with a custom made Bangkok tour package. Shopping in Bangkok is so ubiquitous that it seems to be the hereditary traits of the city's dwellers. Not even a single corner of the city is free from shops, spontaneously stalls, or small street-side vendors. However, needless to say, that Bangkok features some world-class shopping malls and outdoor markets, which cater to the shopping needs of the travelers as well as the locals. During your Bangkok sightseeing tour, you can visit popular shopping destinations like Chatuchak Market, Terminal 21, Siam Paragon, Central World, the new and amazing Icon Siam, Pantip Plaza (for gadget shopping), MBK Shopping Center, Indiana markets and Chinatown. Also, ensure you don't miss delicious Thai cuisine at any of Bangkok's quality dining avenues. Once you're in Bangkok, it's hard to avoid its bubbling, bustling and mesmerizing nightlife. There are hundreds of casinos, night clubs and go-go bars, which offer a throbbing nightlife experience. To explore more naughtiness in the dark, you can head to the night markets of Patpong. 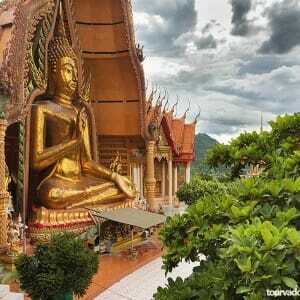 Bangkok Tour Packages takes you to a land which is a mix of Thai, Indian, Chinese, Muslim, Western and Buddhist culture. A Journey around the famous river of the city, the Chao Phraya river, is an experience that you cannot be found anywhere in the world. It is energetic and vibrant, with a blend of the quaint as well as modern life. 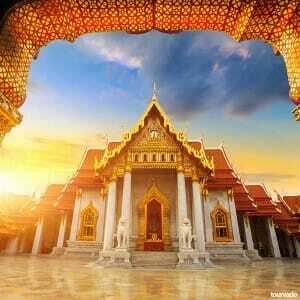 Nowadays, Bangkok tours package is in great demand, offering great touring opportunities to the travelers. From natural greenery to man-created architectures, and spiritual entities to super-hip nightlife, it's all here.